Vendors include Not Your Mama’s Tacos, Mannino’s Cannoli, Flamin’ Foods, Jim’s Jarhead Jerky, The Tot Cart, Curbside Creamery, Stewart’s Root Beer and more. Hungry shoppers can visit The Promenade at Sagemore shopping center on Sunday, April 28, from 12 to 4 p.m., to enjoy a variety of fabulous tastes from area food truck vendors at The Promenade’s annual “Sunday Funday Food Truck” Festival. Officials say more than a dozen food trucks and vendors are scheduled to attend this year’s event, including Not Your Mama’s Tacos, Mannino’s Cannoli, Flamin’ Foods, Jim’s Jarhead Jerky, The Tot Cart, Curbside Creamery, Stewart’s Root Beer and more. According to officials, a full menu of hot and cold food items will be available for a late lunch, early dinner or just dessert. Officials also say shops at The Promenade will have their spring fashion available. The Promenade at Sagemore is one-mile south of the Route 70 and Route 73 intersection between Evesham and Brick Roads, on Route 73 in Marlton. 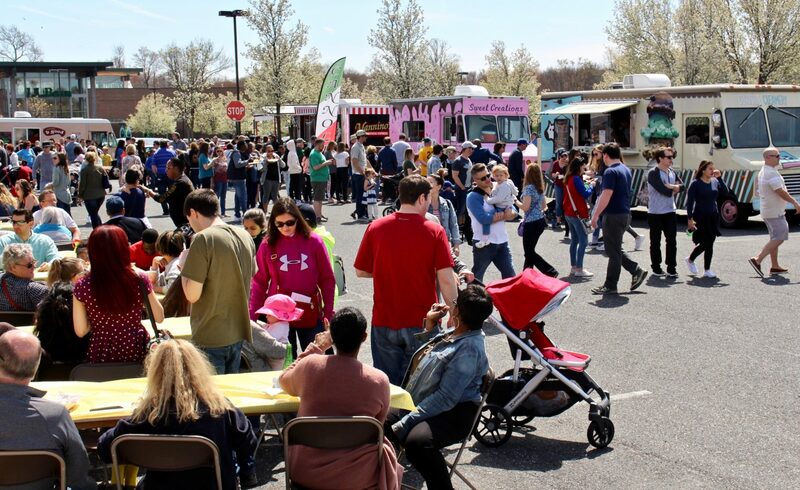 For more information on the Sunday Funday Food Truck Festival scheduled for April 28, contact the Concierge Office at (856) 574-4111 or follow online at www.thepromenadenj.com. Additional parking is available in the Corporate Center parking lots at Marlton Parkway and Route 73 Intersection.